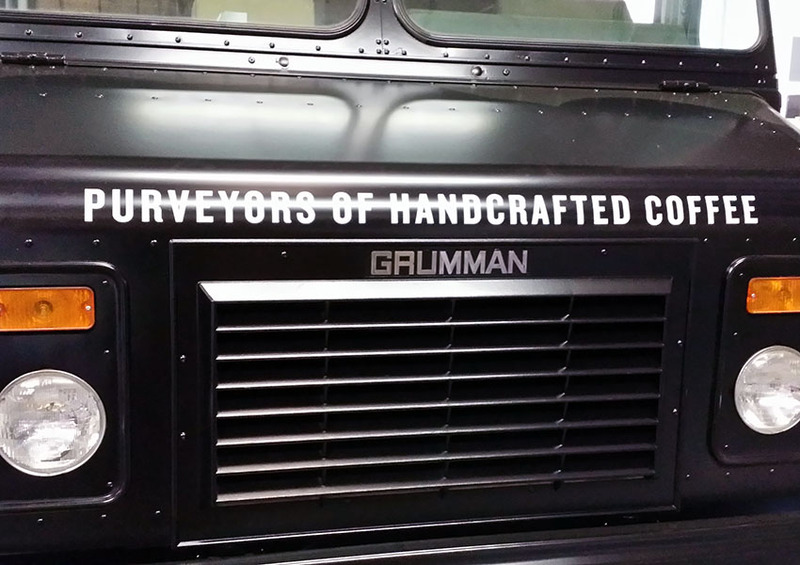 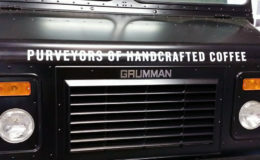 This one-of-a-kind look started as a generic Grumman Stepvan. 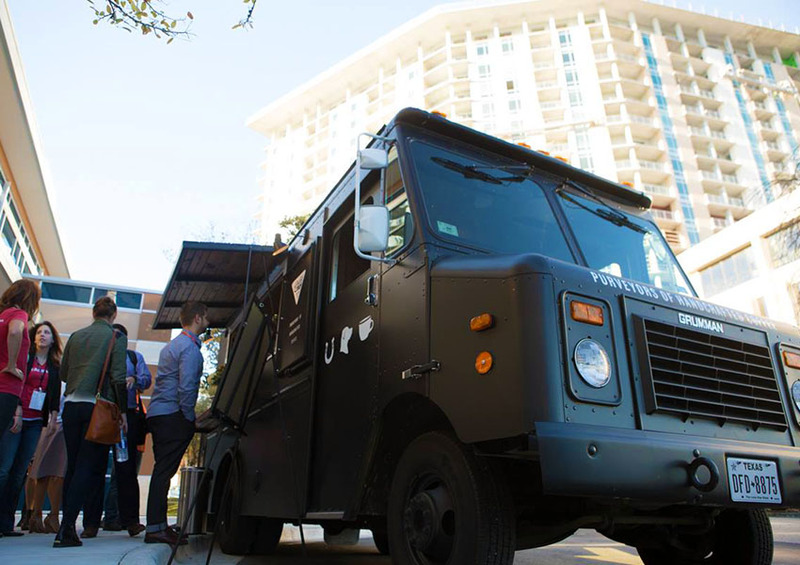 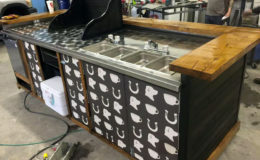 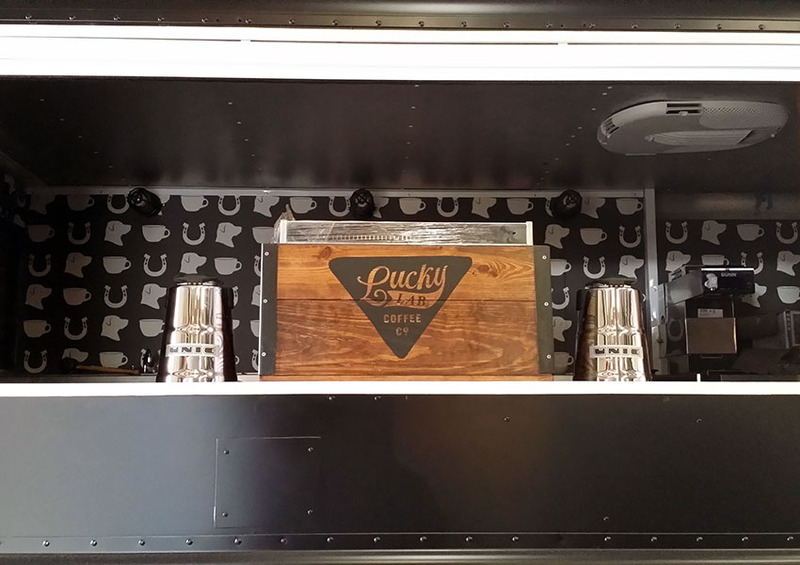 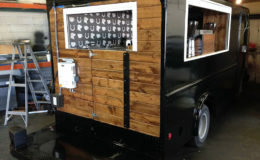 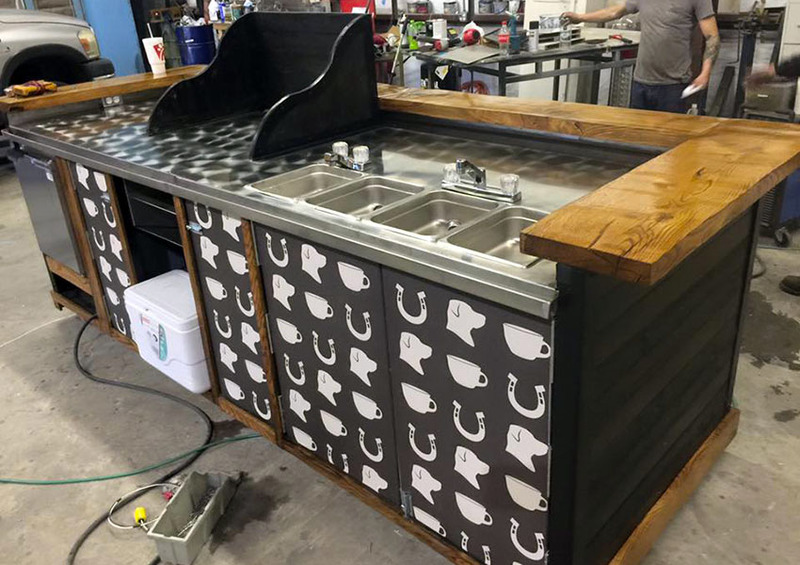 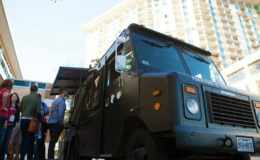 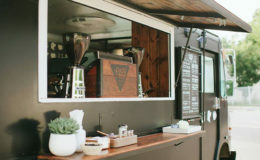 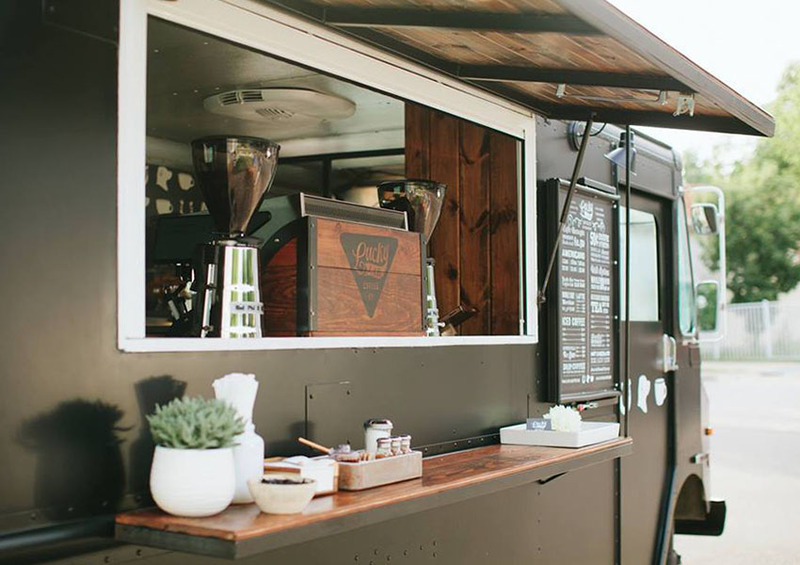 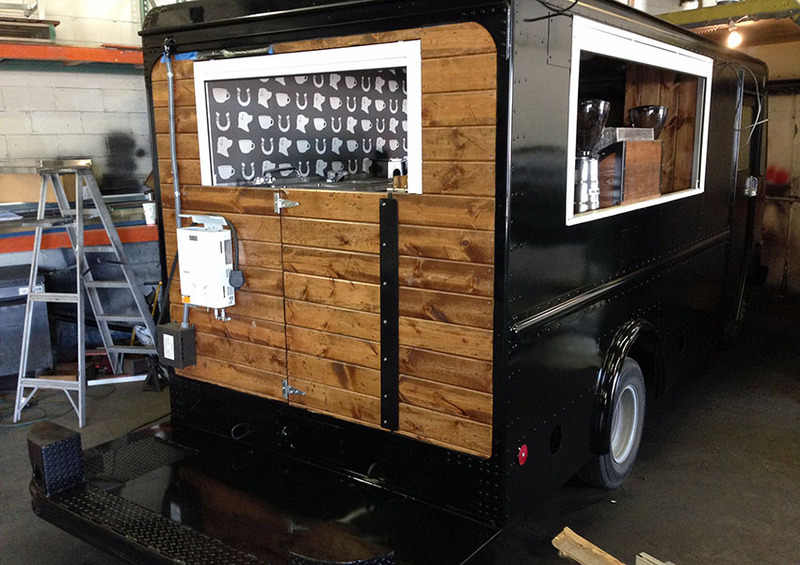 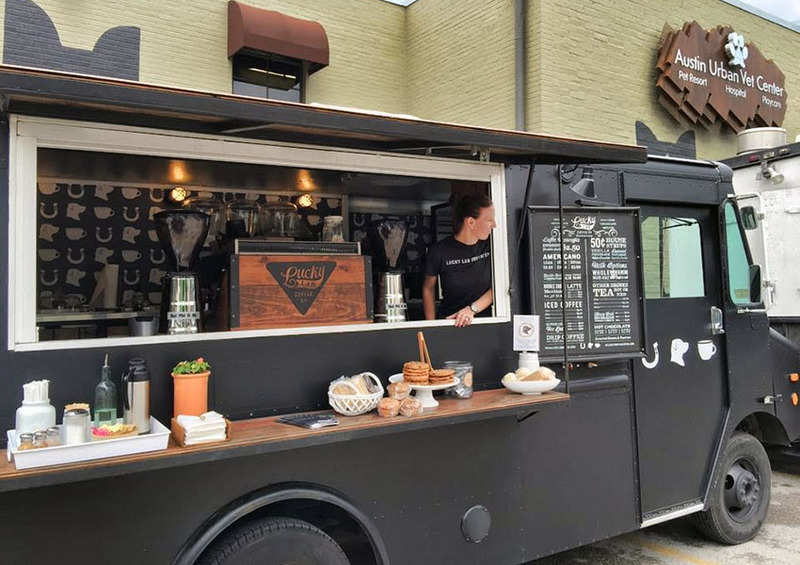 We transformed this coffee wagon into a rolling beauty by starting off with matte exterior paint. 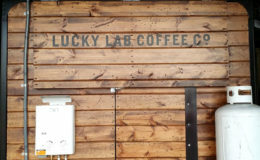 Then came lots of wide plank boards to add an antiqued feel. 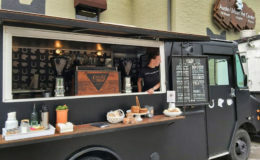 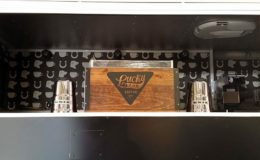 Rolls of branded vinyl sheets were laid opposite the serving window. 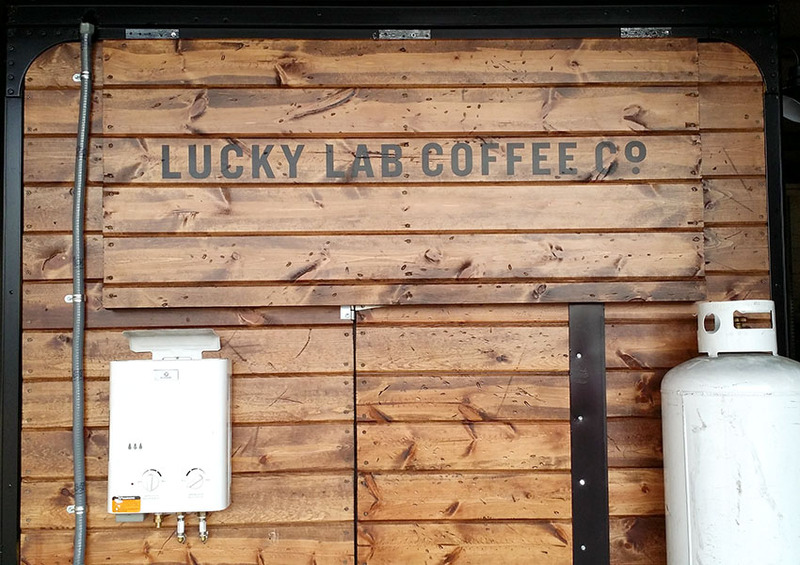 Caged wall sconces and a reversible menu board were added for the final touches. 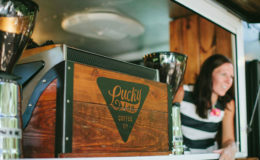 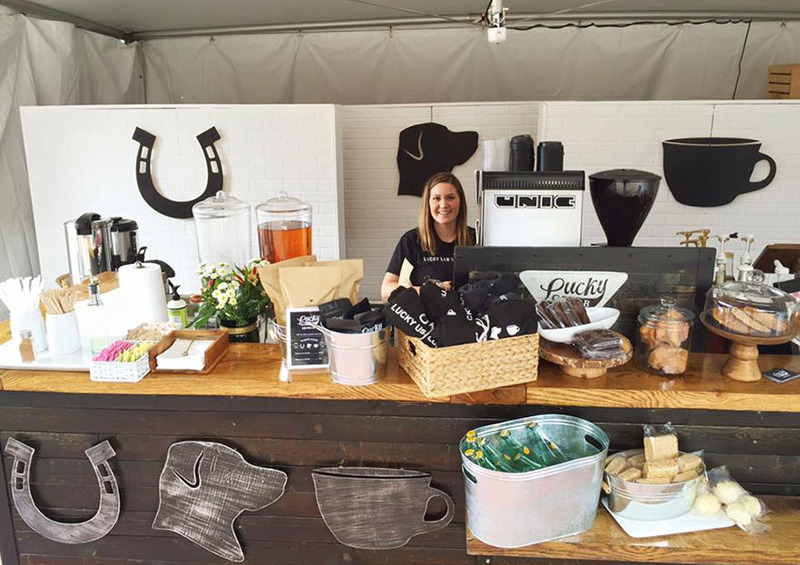 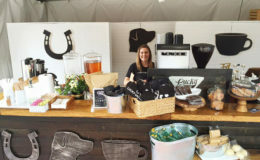 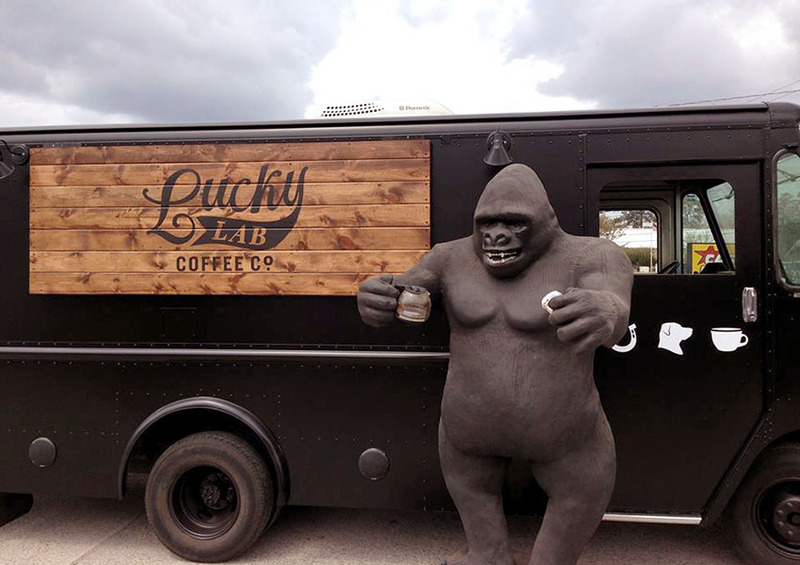 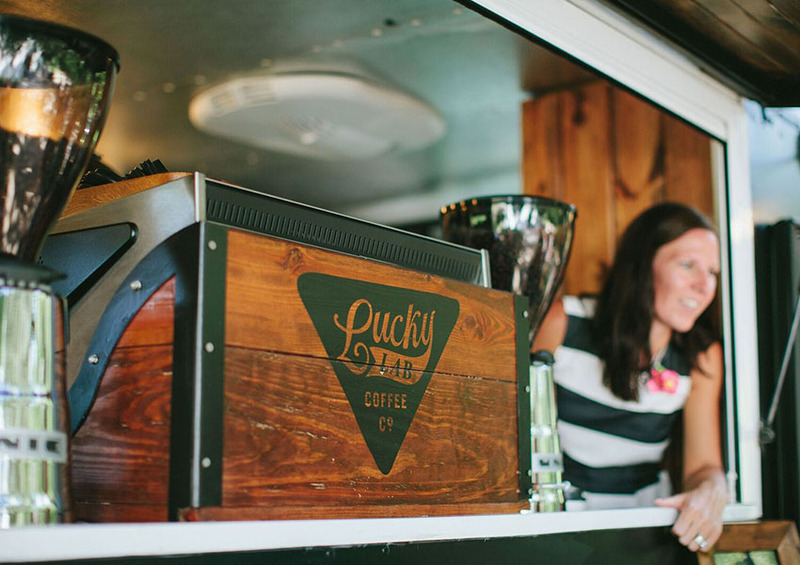 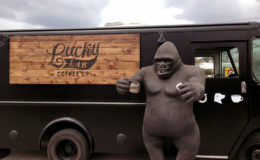 "Here at Lucky Lab Coffee Co., we firmly believe that good people, happy dogs, and a great cup of coffee make the world a better place.